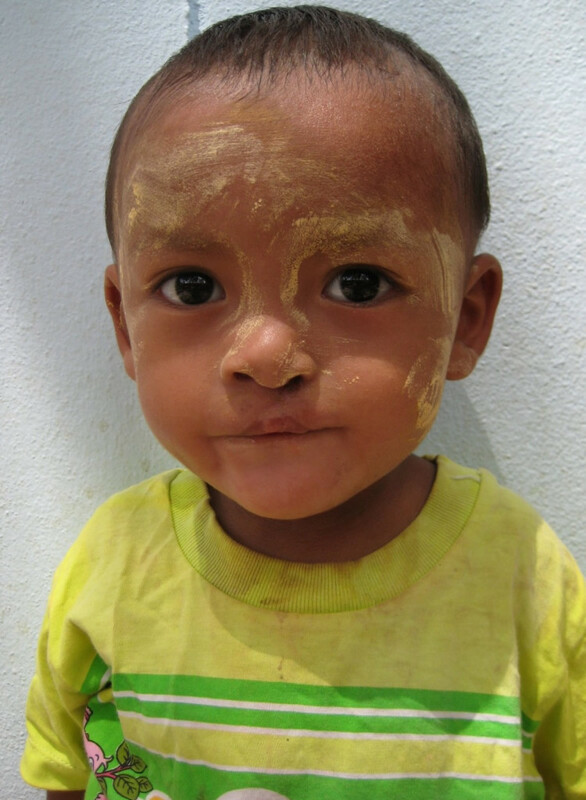 Ing Gha Htoo is a 2 year old boy who was born with a cleft lip. In March 2013, BCMF referred him to Suan Dok Hospital in Chiang Mai for corrective surgery. 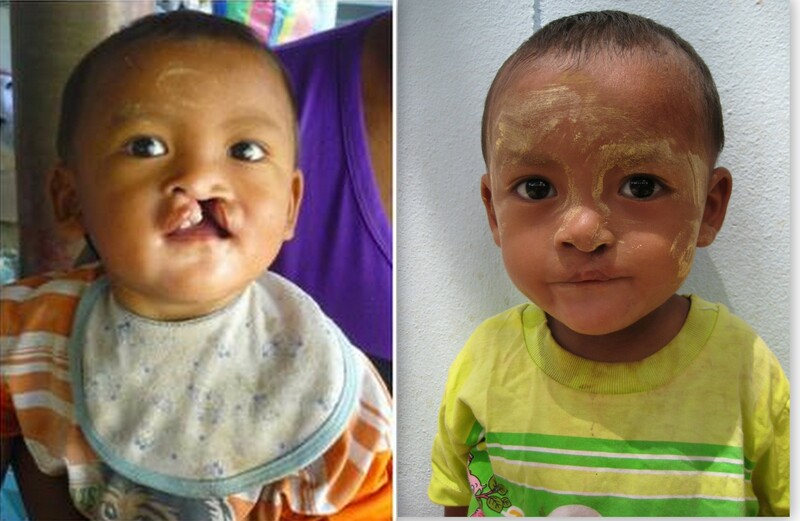 On March 28, 2013, he had an initial consultation with the plastic surgeon and on April 28, 2013, he underwent surgery to correct the cleft lip. Following the surgery, he was hospitalized for two weeks. According to his parents, the overall experience in Chiang Mai was good. They said that the Thai hospital was very clean and all of the doctors and nurses treated them well. He said that the hospital provided very good quality of care and he is very happy with his son’s treatment. He said he had no complaints about the hospital’s services, but he did have a bit of trouble communicating with hospital staff due to the language barrier. However, he said he did not face any big challenges during his son’s stay in the hospital. Ing Gha Htoo’s father said that he had good experiences in the patient house (MAP) as well. He said sometimes he could not eat the cooking at MAP house because of his dietary restrictions (he does not eat pork) but that on those days he was able to go out and buy food for himself. However, he said the accommodation was good and he had no complaints about the patient house. Ing Gha Htoo’s mother said that she noticed that her son can now speak better compared to the situation before the surgery. Now he can call out “MOM” with clear voice. But she said that since he has been home, he doesn’t play as much with his friends as he used to. He stays quiet and plays by himself. His mother thinks he feels a bit distanced from his friends since he spent so much time away from them when he was undergoing treatment in Chiang Mai. When Ing Gha Htoo arrived home, he used body language to explain to his mother what was done to his lip at Chiang Mai hospital. He is happy and proudly points to his lip, mouth, and nose. His mother said that she has noticed that her son seems much happier and feels more energy than before. She said he has not reported any pain or other side-effects of the surgery. Before the treatment, Ing Gha Htoo could not drink or eat properly. His mother had to use a spoon to help him to eat and drink before the treatment. Now he can drink and eat by himself. His mother says that Ing Gha Htoo likes to watch TV and now that he can speak properly, his favorite thing is to repeat the lines recited by the actors and actresses in the TV shows. His mom said that she plans to send him to preschool next year. She wants her son to be educated and to be a healthy, happy child. When asked about her feelings about her son’s surgery, his mom said that first of all, she is so happy to see her son come back home so full of energy. She was happy too that the surgery was done so well; she says his lip looks completely normal now and the scar is barely noticeable. She said that the family recently experienced some tragedies (Ing Gha Htoo’s cousin was very sick and later passed away during the time that he was in Chiang Mai for surgery). However, when Ing Gha Htoo arrived home, everyone was happy to see him; even his Aunt was also happy to see that Ing Gha Htoo’s surgery was so successful, even though she lost her own son. Their neighbors also welcomed Ing Gha Htoo home with joy and shared their happiness with Ing Gha Htoo’s family. Ing Gha Htoo’s mother said all her worry and stress are gone now and she now has time to return to work. Before the surgery, Ing Gha Htoo’s mother always has to take care of him because he can’t do many things by himself especially when it is time to eat. Ing Gha Htoo’s mother said that she is not so sure what her son wants to be when he grows up because he is too young yet to know about his intentions. She wants to say thank you so much from the bottom of her heart to the donors. She said that because of the donors and BCMF staff, her son can go among the other people without feeling embarrassed or self-conscious. She said that words cannot begin to express her gratitude to the donors of BCMF. She simply wants to say thank you for this wonderful opportunity and for taking such good care of her son.